For those WordPress users who want a more indepth analysis of their sites, we’ve created GTmetrix for WordPress – a WordPress plugin that actively keeps track of your WP install and sends you alerts if your site falls below certain criteria. 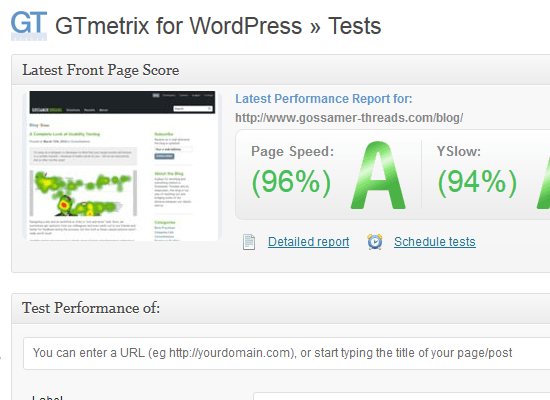 How does your WordPress site score? Run analyses, schedule reports on a daily, weekly or monthly basis, and receive alerts about the status of your site all from within your WordPress Admin! 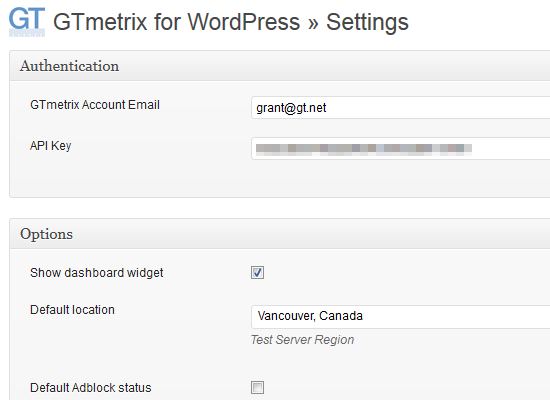 GTmetrix for WordPress requires a GTmetrix account (it’s free!) and utilizes the GTmetrix API. We’re experienced with optimizing high-traffic WordPress platforms. From code-optimizations to managed hosting, we can help even the most demanding WordPress installs run faster and more stable. Read more about our Managed WordPress Hosting.